Hollyburn Properties is a proudly Canadian-owned and operated family company. Established in West Vancouver in 1975, our team has over 40 years of experience providing quality rental accommodation across this great country. We currently own and operate 86 rental communities – in Vancouver, Calgary, Toronto and Ottawa, employing over 200 passionate people, with the goal of providing safe, comfortable and secure homes with exceptional service for our residents. As we celebrate Canada Day, take a step back in time with us and visit four flagship Hollyburn buildings with unique Canadian histories. Hollyburn Plaza is a mixed-use development in West Vancouver’s Ambleside neighborhood. The 16 storey reinforced concrete apartment and commercial tower represents the company’s very first multi-family property investment, the purchase effectively spearheading the company as we know it today. Hollyburn Properties’ original head office was located in the building, moving from one suite to another as the number of employees increased, until the office was moved to its current location in the West End in 2009. “In 1958, the District of West Vancouver adopted a new growth-oriented Official Community Plan (OCP), and in the following year rezoned 50 acres of land in Ambleside for apartment development. The creation of an apartment district in Ambleside was seen as an opportunity to broaden the municipal tax base, revitalize an older residential area, and support the District’s primary commercial centre. This ushered in a ‘boom’ in apartment construction starting in the early 1960s, and continuing through the 1970s. Hollyburn Plaza comprises of 52 2-bedroom suites, 8 stores and 16 offices. The suites have large balconies, dishwashers and garburators (which was unusually extravagant for rental buildings at the time), as well as spectacular views of the ocean and mountains. After the arrival of the Canadian Pacific Railway at nearby Coal Harbour in 1887, the West End grew into “Vancouver’s first upscale neighborhood.” Elaborate Edwardian mansions housed Vancouver’s elite railway families, and an area of West Georgia Street was dubbed Blue Blood Alley for the grand homes that lined it. However, by the early twentieth century, Shaughnessy was overtaking the West End as the most prestigious neighborhood in Vancouver, and many wealthy families relocated. This exodus of affluence made room in the West End for the more diverse demographic that today lends the area much of its charm. 1265 Burnaby Street was first the site of the former mansion of John Hendry, one of BC’s most influential early industrialists. Hendry founded the first major lumber company in BC, and, in doing so, helped transform Vancouver from a sleepy backwater to a veritable city. After the Second World War, Vancouver’s population was booming. 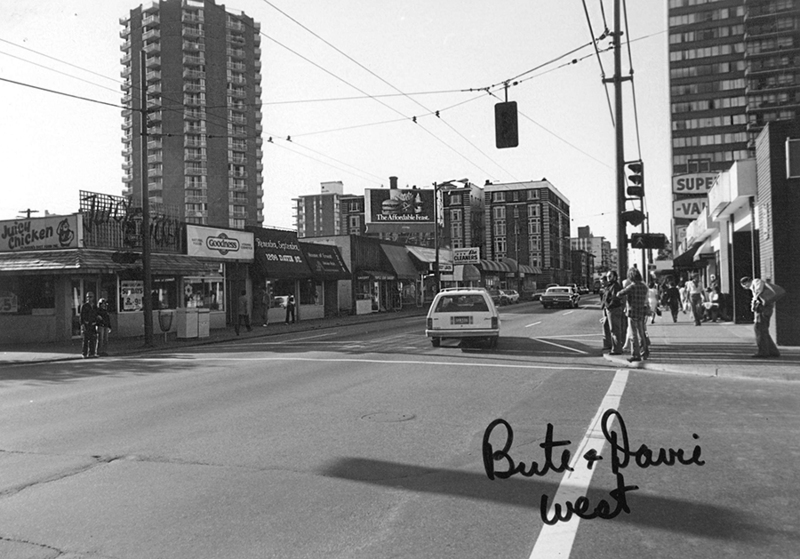 In 1956, changes to the Zoning and Development Bylaw in the West End and Kitsilano facilitated commercial development in those areas, and they evolved into appealing mixed commercial/residential neighborhoods. The Hendy House, completed in 1970, is an excellent example of the distinctly modernist faith in architecture, planning and design at the time. Designed by Ojars Kalns, Hendry House embraces the natural world that surrounds it, and aims to bring the outside world in. Hendry House forwent ground floor suites so that all residents would have a view, a design decision that placed value on both natural scenery and social equality. Within the reinforced concrete central core of the tower are the elevators and stairwells. Radial spacing of the walls out from the pentagonal center endow each apartment on the floor with equal floor and window space. The building’s exposed concrete aggregate exterior conjures up images of beach pebbles, and the undulations on the surface of its columns are reminiscent of ripples on calm water. Two levels of parking hide beneath sprawling concrete contoured garden plots and an outdoor pool; landscaping designed by Justice & Webb that muffles the hum of the street and evokes the nearby forest. 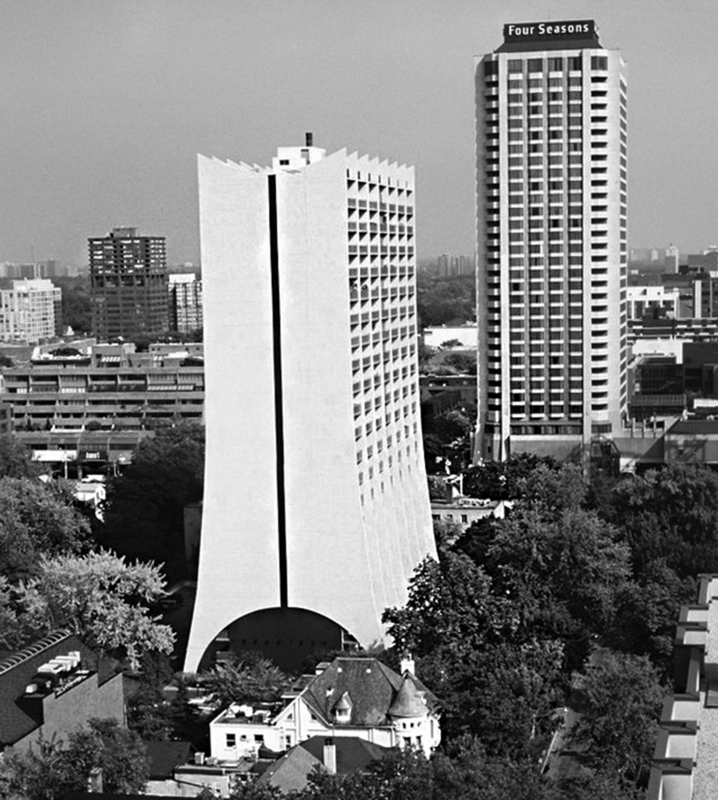 The modernist style embodied in Hendry House has endured, and today the tower still stands as one of the West End’s most iconic high-rise buildings. 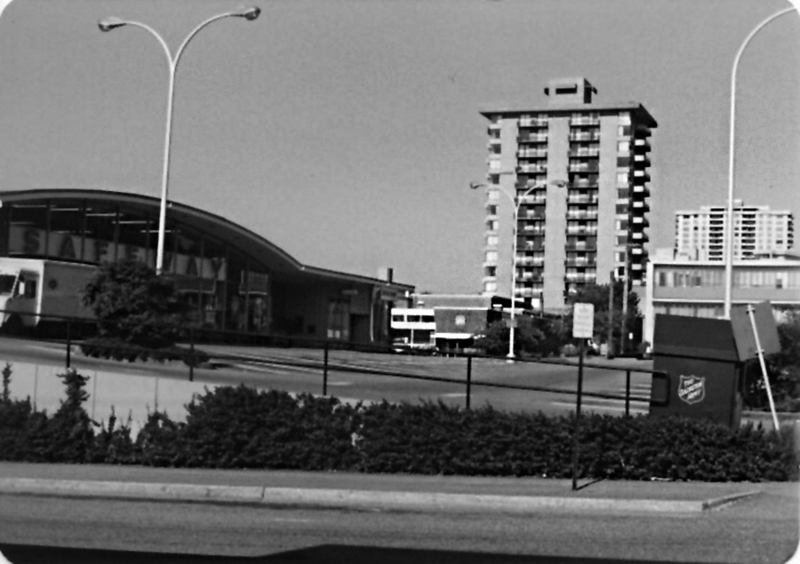 Prince’s Island Place (PIP), likely thus named after Prince’s Island Park across the street on the Bow River, was built in 1978. Hollyburn’s largest building, boasting 297 suites and 19 floors of residential space, was constructed using poured concrete and prefab concrete panels. 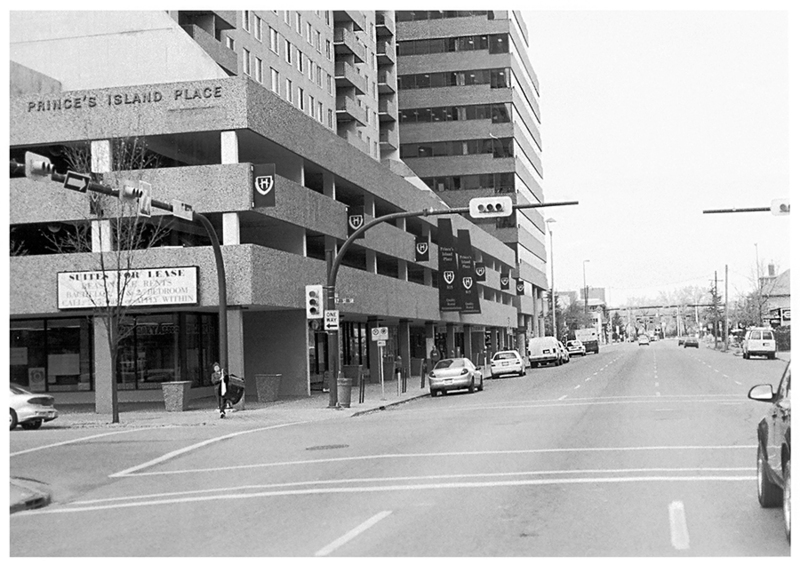 Developed specifically as a rental property, the housing was a direct response to Calgary’s soaring population that erupted in the 1970’s. Oil prices nearly tripled overnight related to unrest in the Middle East and the Organization of Petroleum Exporting Countries production cuts, and Alberta was hit by a “modern-day gold rush.” The Alberta oil industry boomed, transforming the cities of Calgary and Edmonton where populations increased by a third, with four thousand people a month flooding into the province. In 2006, Prince’s Island Place won “Building of the Year” from the Calgary Residential Rental Association. The award recognizes the owners and managers of a building for overall excellence in management and maintenance. The year was 1968 in Toronto, Ontario. At the time, the Yorkville neighbourhood was relatively underdeveloped, yet alive with youthful energy, optimism and an intrinsic desire for change. and the community was flourishing as Toronto’s bohemian cultural centre. It is amongst this dynamic scene that 20 Prince Arthur was born, an iconic rental apartment building designed by world-renowned architect Uno Prii. 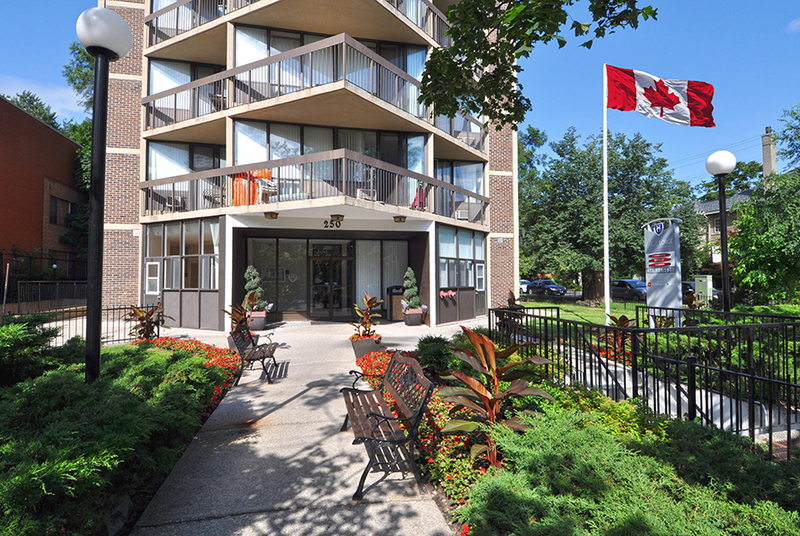 Located in the Annex on the border of Yorkville, 20 Prince Arthur stands just off of Bloor and Avenue Road. Uno Prii’s designs are architecturally significant as a protest against the dark and grey stark lines of the prevalent Modernist style. Prii’s work challenged existing dogmas of design, which involved pragmatic right angles and repeating patterns, forever changing the landscape of urban Toronto with his unique artistic vision. Rising 22 stories, the elaborate apartment tower at 20 Prince Arthur has become the “canonic Prii statement,” its sweeping space-age form incorporating curvilinear sculptural elements and influences of futurism. Soaring high into the sky, the base of the building curves into flared buttresses, much like a pair of bell-bottomed jeans. 20 Prince Arthur was one of Prii’s most expressive designs, and his self professed “favourite” execution out of more than 250 buildings in Ontario, Ohio and Florida. In the 1960’s, apartment living was growing in popularity as a result of thousands of immigrants arriving in Toronto. New planning concepts were introduced to encourage higher densities, with elaborate green spaces and landscaped grounds designed to attract renters with their whimsical appeal. The Prince Arthur Tower was constructed using Uno Prii’s preferred medium of poured white concrete, allowing the architect to achieve sculptural elements and artful details in his designs. Prii’s ground-breaking reusable slip-form moulds enabled contractors to pour concrete floor by floor, significantly reducing building time and costs in what has now become industry-standard. The result for Prii was the completion of some of Canada’s most distinctive urban residential architecture. Prii’s 20 Prince Arthur flagship building was added to the City of Toronto’s list of heritage properties in 2003 precisely for its cultural resource interest. 20 Prince Arthur is now located right in the heart of Toronto’s high-end shopping district, and one of the most upscale neighbourhoods in North America, akin to L.A.’s Rodeo Drive and New York’s Fifth Avenue. According to long term residents, the building developed a cult-like status, and over the decades, all of the “who’s who” had either lived, or knew someone who lived, at one time at 20 Prince Arthur. Hollyburn Properties acquired the building in 1999 and is proud to have restored it to its former glory as one of the premier addresses in Toronto. Alfred Holden, Concrete Toronto (Toronto: Coach House Books and E.R.A. Architects, 2007), 42.